Simply remapping a car’s ECU to extract more power from its engine is fraught with complications: altering one part will have a dramatic effect on other elements. 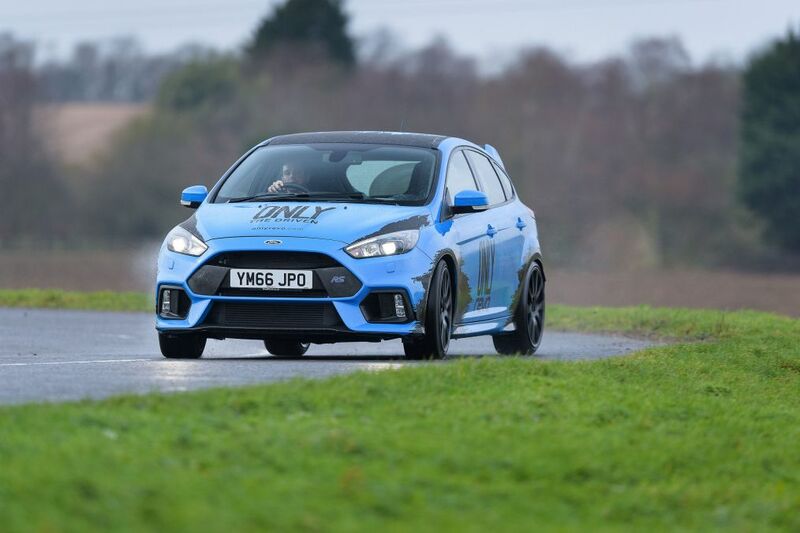 That’s why tuners offer a wide range of upgraded mechanical parts to complement the extra power liberated from the engine’s new map, such as on the Ford Focus RS. 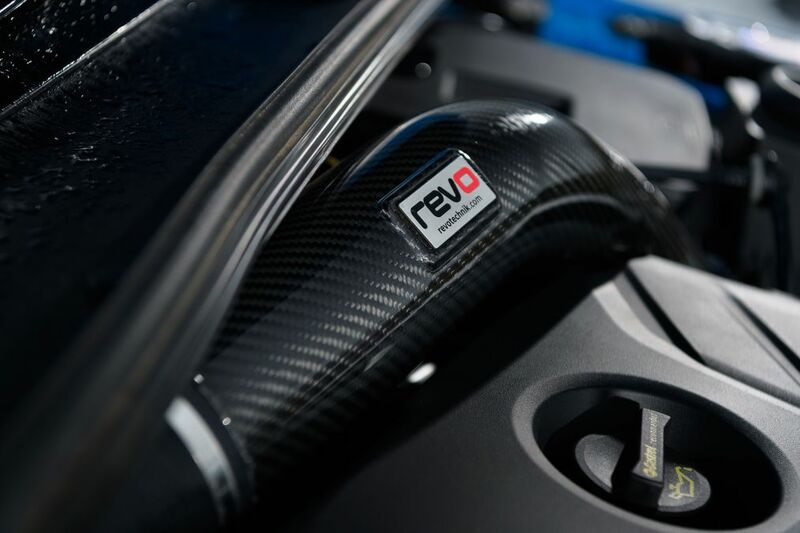 Take Revo, for example, which made its name extracting more performance from Volkswagen group products and has more recently turned its attention to Fords, too. 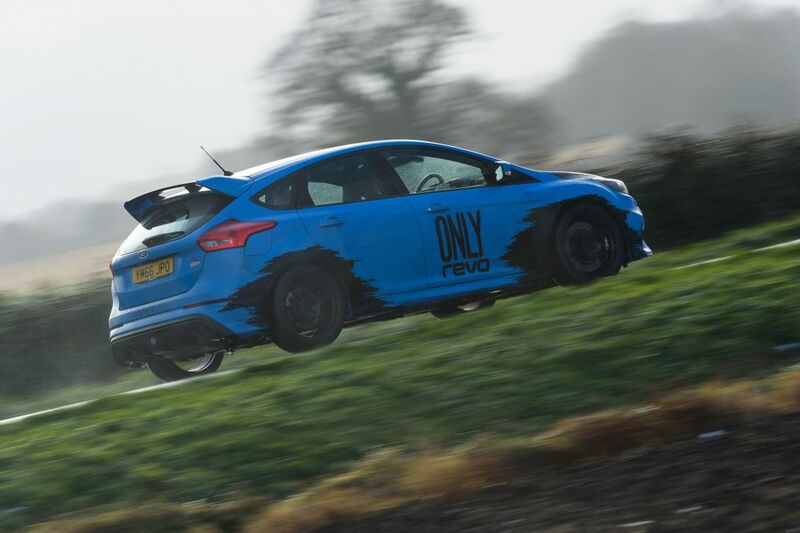 Currently it offers a range of engine and chassis upgrades for everything from the 1-litre Fiesta to 5-litre Mustang, and, of course, the current Focus RS. 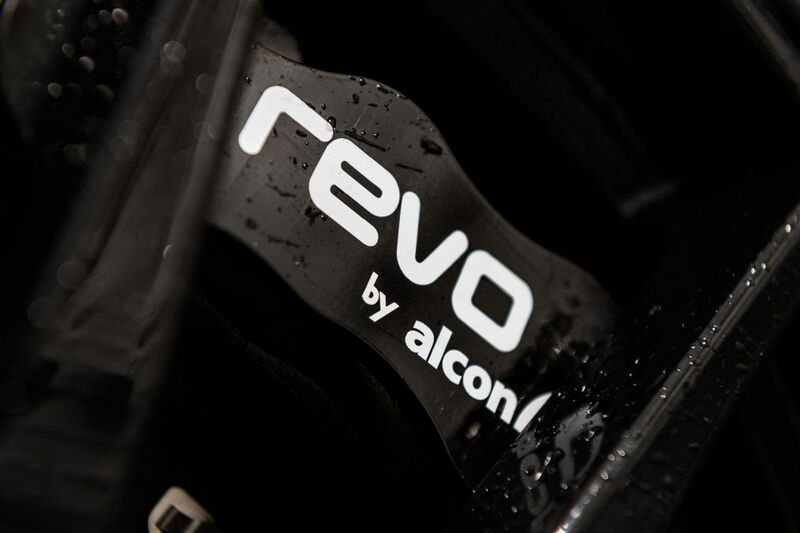 Revo’s most comprehensive kit for the RS is its £2060 Performance Pack. 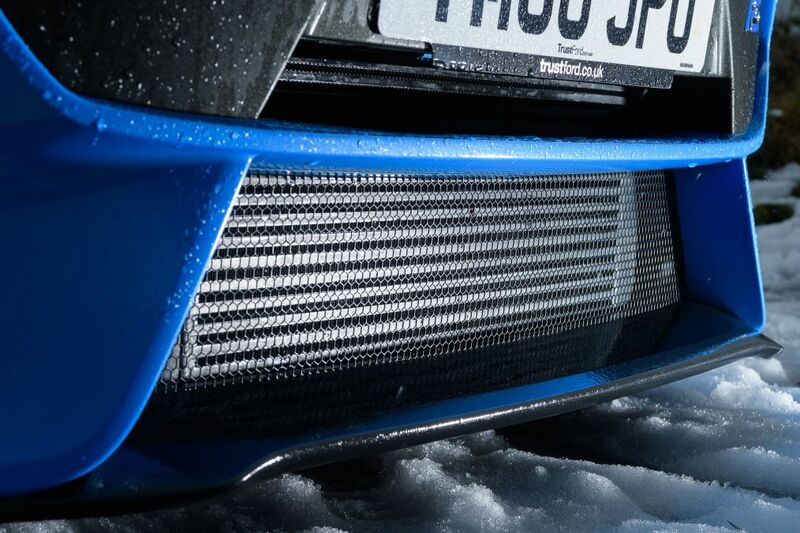 It includes the tuner’s Stage 2 software upgrade, a carbon fibre air intake and foam filter, a larger bar and plate intercooler, a less restrictive intercooler pipe and a Milltek downpipe. Combined, these help increase the engine’s output from 345bhp and 347lb ft, to 434bhp and a huge 455lb ft.
Our test car also featured a few other goodies: a big brake kit, developed by Revo in conjunction with Alcon, that includes six-pot monoblock front brake calipers and floating ventilated discs, Revo’s own 19-inch wheels wearing Dunlop Sport Maxx RT 2 tyres, and Eibach Pro Kit springs. 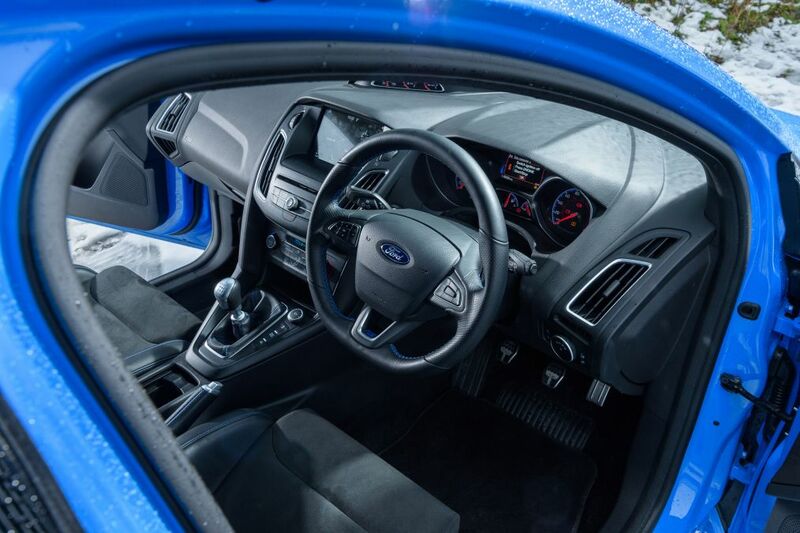 It would take a Focus RS aficionado to spot the visual changes, and even from within, the noise from the more potent 2.3-litre four-cylinder Ecoboost engine isn’t notably louder, although there is a bassier thrum to its tone. The lowering springs make very little difference to the ride quality, too: if anything, it’s ever-so-slightly less bouncy. As for the meatier brakes, you won’t really notice their benefits away from the track. 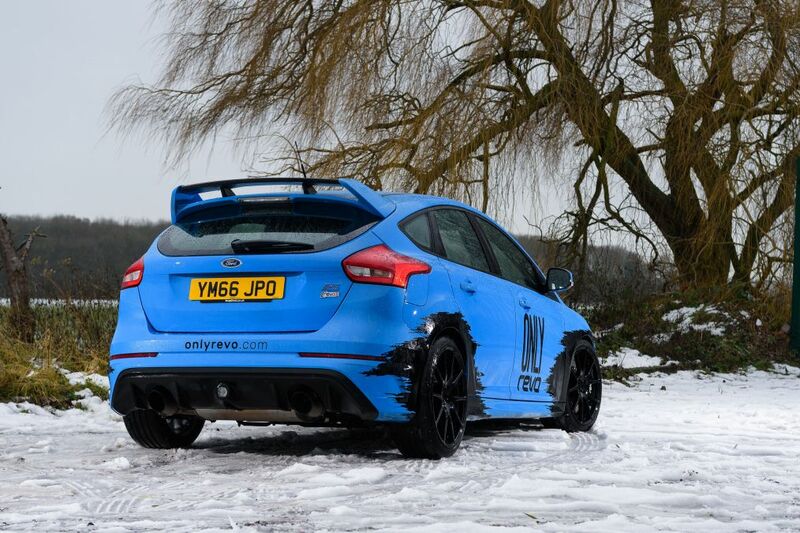 The engine’s additional 89bhp and 108lb ft of torque certainly improves the RS’s acceleration. 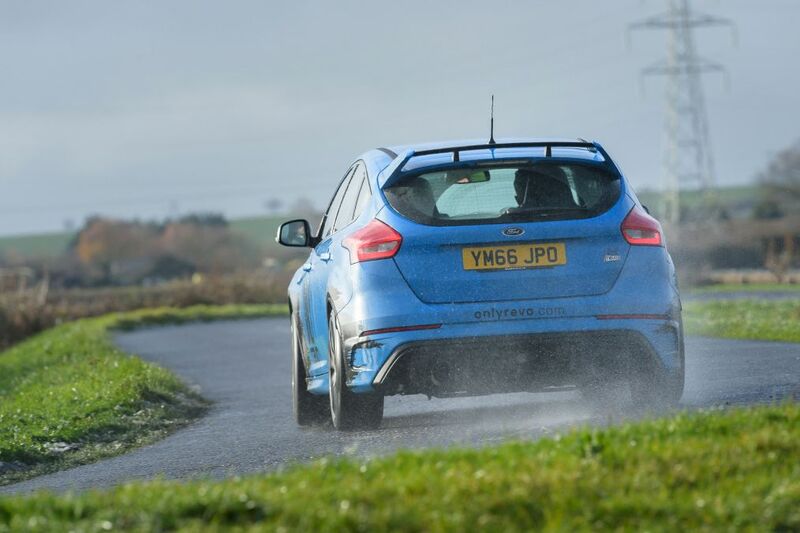 Of more significance, however, is the effect this has on the four-wheel-drive system. On cold, wet roads all four wheels will break traction as you accelerate from a standstill if you have the assistance systems turned off. The front end is now more inclined to break traction out of tight corners, too; the inside front wheel spins briefly until drive is sent aft and the rear wheels thrust you out of the corner. 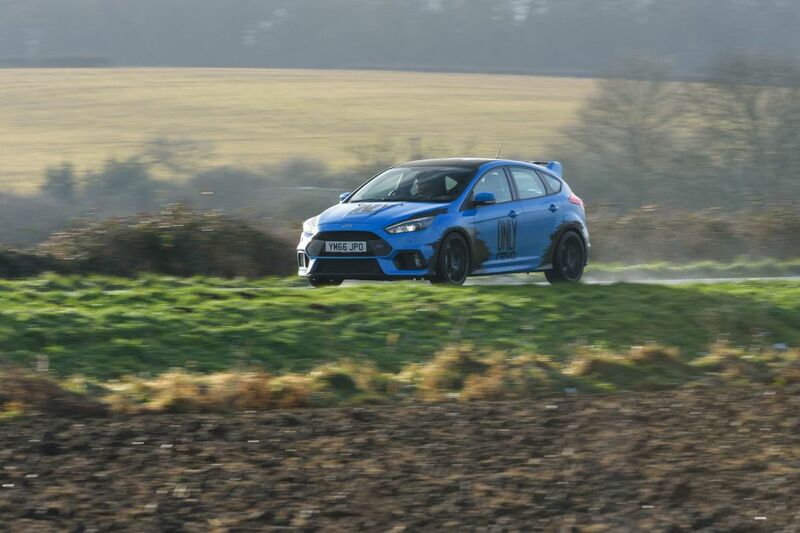 The standard Focus RS only really gives you any power-on adjustability in tighter corners, but this demonstrator feels more alive everywhere. If its sharp agility does transform into oversteer, a small angle of corrective lock is all that’s needed to encourage the drivetrain to push and pull you straight again. It’s fun and feels a less contrived experience than the regular RS gives, more like you’re a key part of the driving process, not merely a passenger to the electronic driver assistance systems. 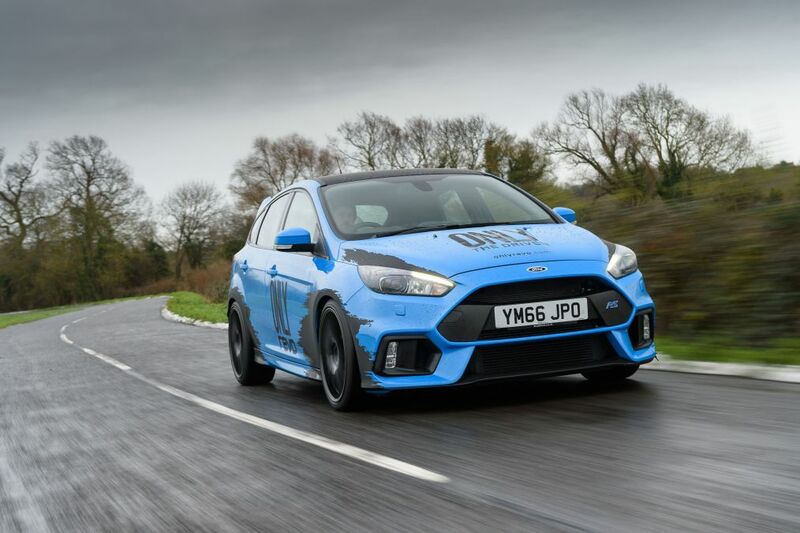 Revo’s modifications don’t dramatically alter the high-performance Ford, but what they do is intensify the basic RS behaviour. 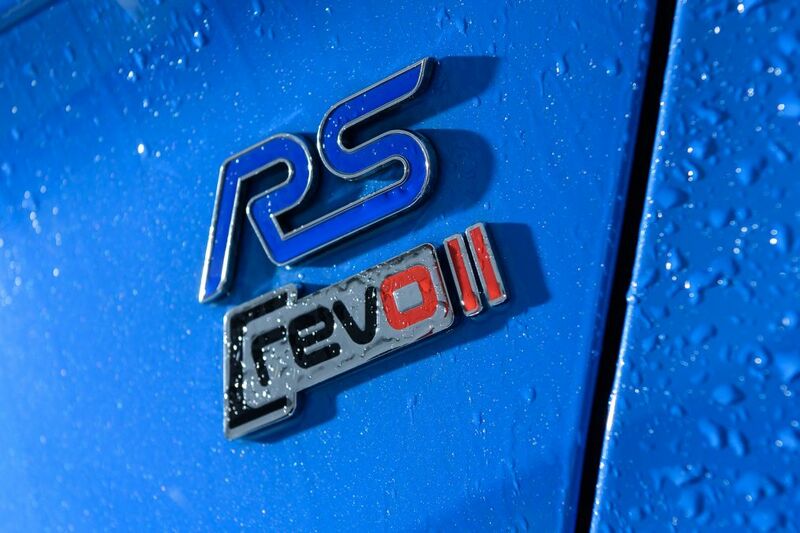 So if you’re an RS fan and fancy enjoying its thrills at a higher tempo, then Revo’s Performance Pack should be right up your street. 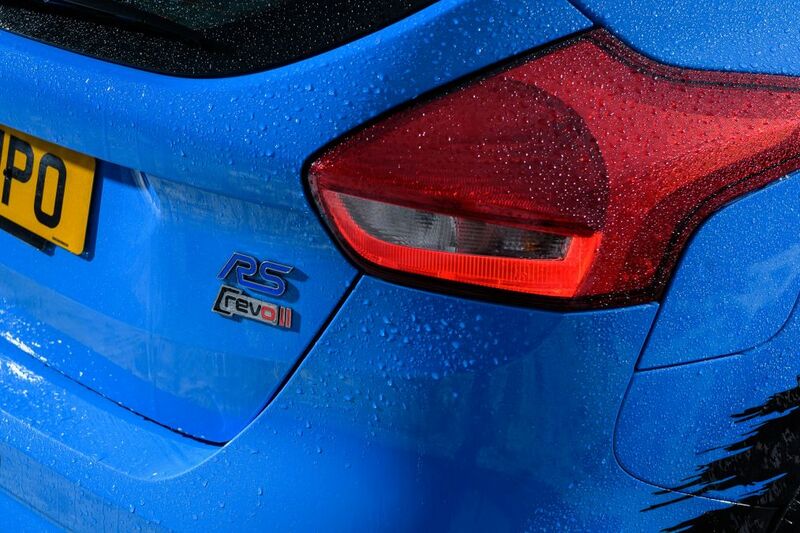 At £2060 Revo’s Stage 2 upgrade kit seems very reasonable, even when compared to the other upgrades on the car. The changes the extra performance makes are far more significant compared to the £1130 wheels or £2235 big brake kit. 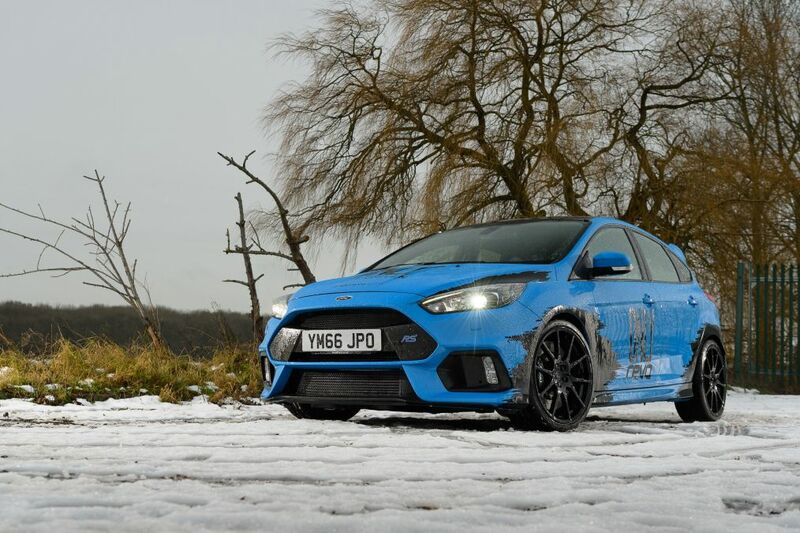 It’s especially reasonable compared to Mountune’s M400 Focus RS. 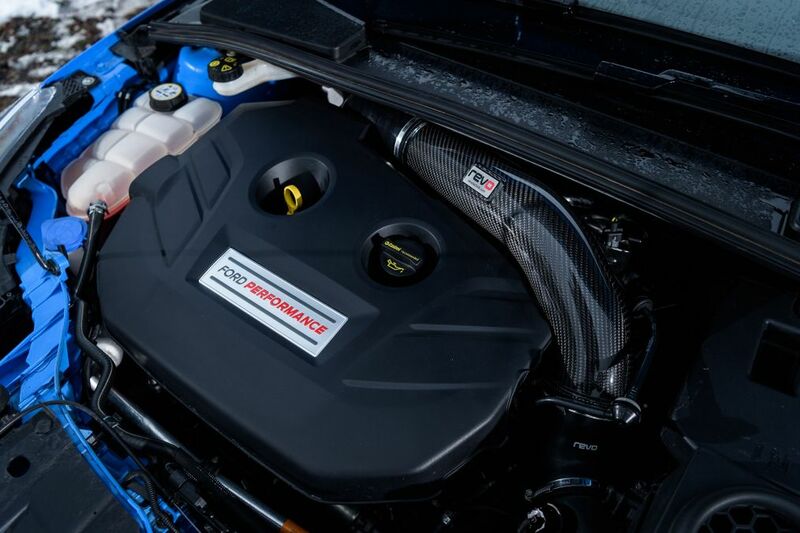 The Essex-based tuner’s kit increases the RS’s output to 394bhp and 376lb ft of torque and costs £3495. That’s 40bhp and 79lb ft less than Revo’s upgrades, while costing £1435 more.